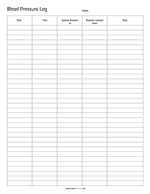 Blood pressure log on an A4 size paper in a vertical, portrait orientation. Regulary check your blood pressure and analyze them with your doctor. 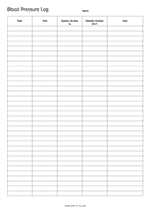 Blood pressure log on a letter size paper in a vertical, portrait orientation. Regulary check your blood pressure and analyze them with your doctor.